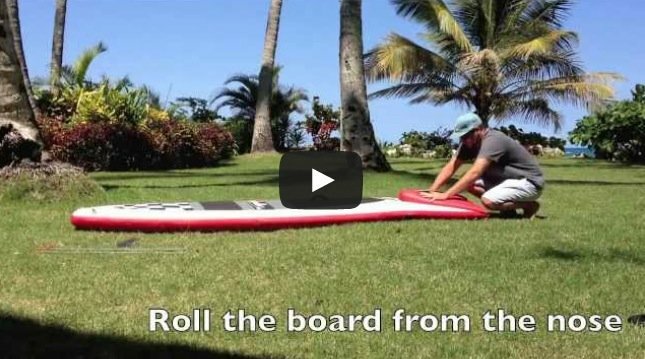 Welcome to another Reuben SUPBoarder video review. 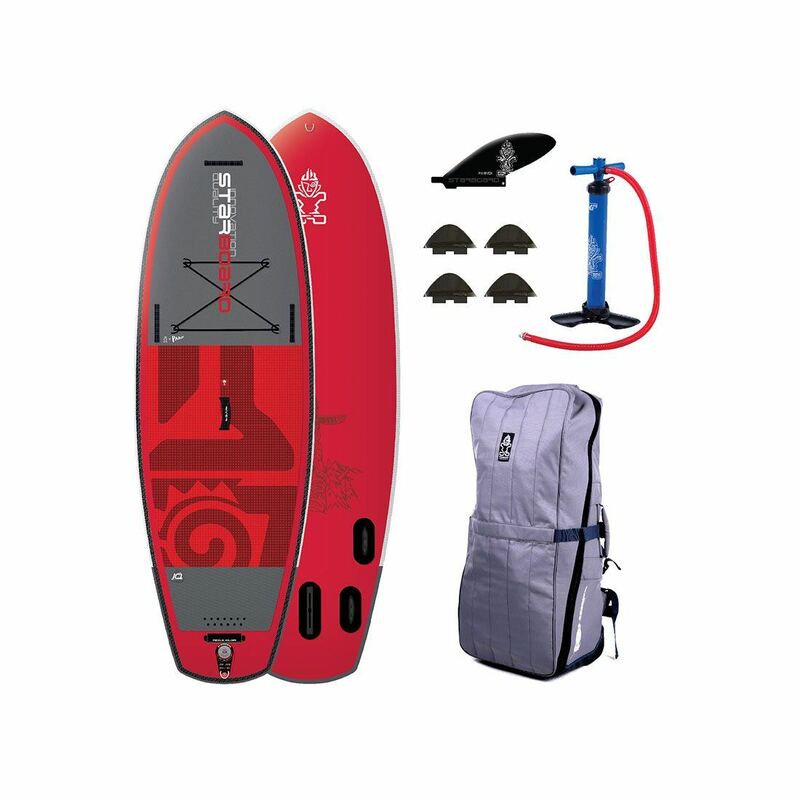 In today’s video, we are taking a look at the new Lokahi 9’5″ Water Explorer. 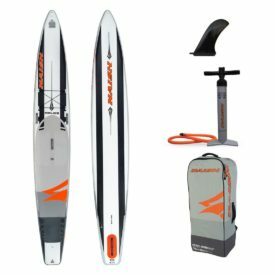 Lokahi have been making high end surf and race SUPs, and all rounders, for a few years now, and the Water Explorer (WE) is their second stage inflatable SUP after their Aka and Mares models. 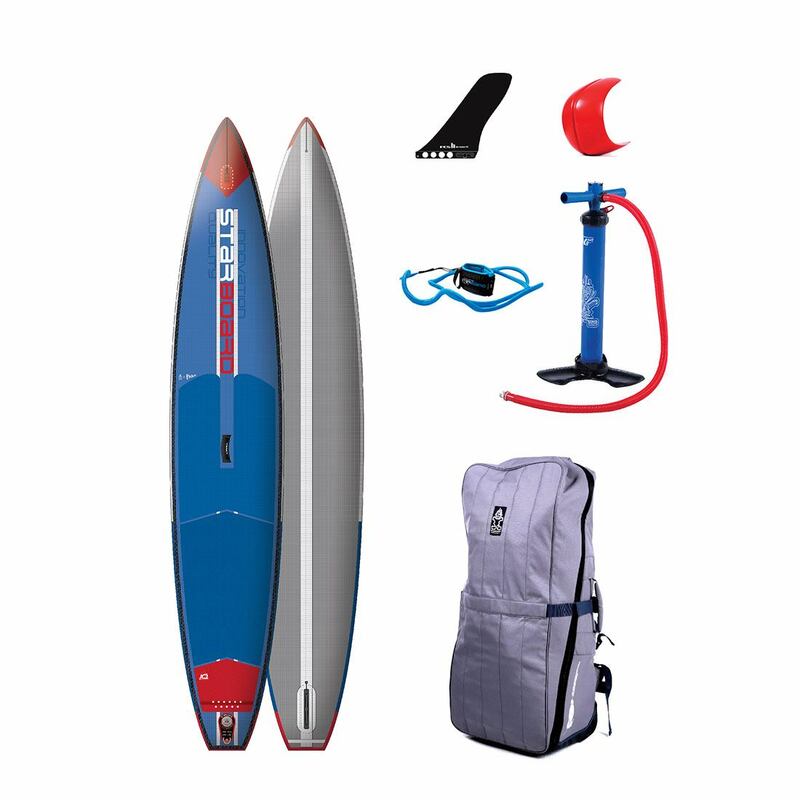 The WE includes several advancements in inflatable paddle board construction techniques and materials. Let’s find out more from Reuben. 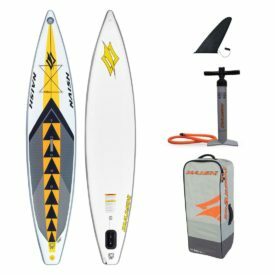 Hey everybody and welcome back to another SUPBoarder independent review and this week we are going to be looking at the Lokahi WE 9’5″. 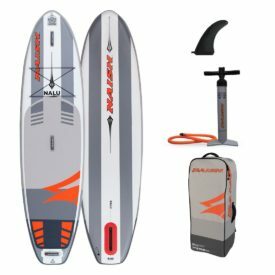 Lokahi are fast becoming a well known SUP and surf brand and their philosophy is to provide as many people as possible the opportunity to get into the sport of SUP. Specifications for the WE or Water Explorer. 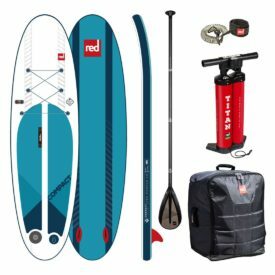 It’s 9’5″ long, it’s 31″ wide, it has 190l in volume, it’s 5″ thick, it weighs 6.5kg (14.3lbs) and it retails at €549 (Editor: Price update) ($599). Comes with a single US Box center fin. Materials of the board: EVA deck pad, drop stitch internal core, PVC outer shell, with also a secondary PVC stiffening layer down the center as well. Who is it designed for? 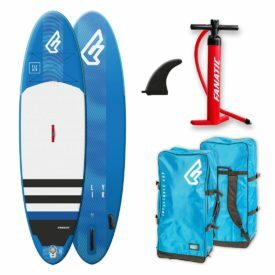 It’s designed for a rider of probably 50-80kg (110-175lbs) wanting to do all round paddling, a bit of waves, a bit of flat water, general all round based board. Moving on to the SUPBoarder impressions. The first thing you notice about this board as soon as you pick it ups how light it is. 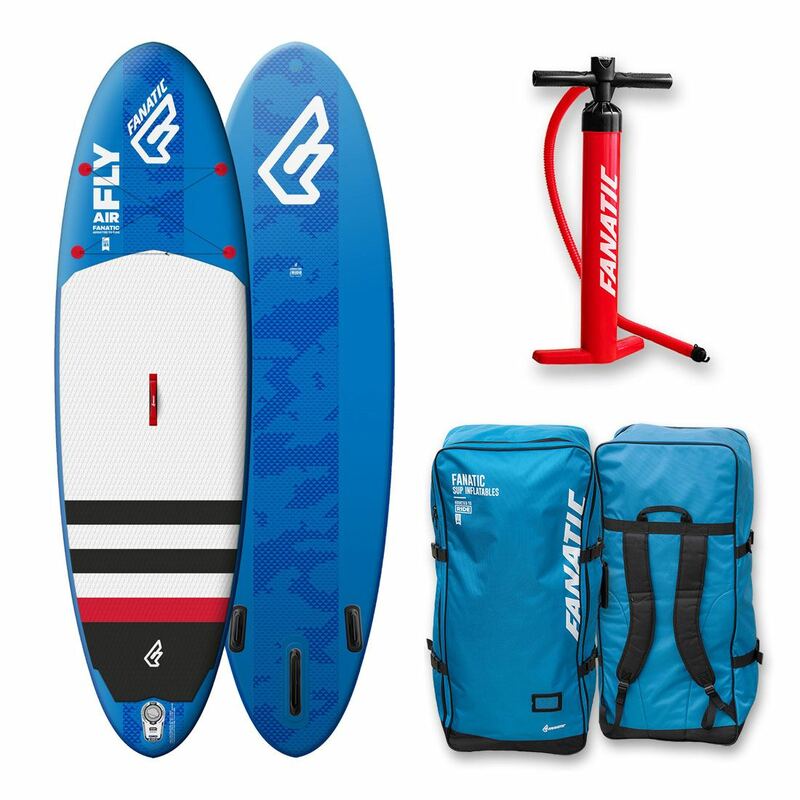 6.5kg (14.3lbs) is probably one of the lightest iSUPs we’ve tested and it really does float the boat or float the boards of many of those, sort of lighter riders wanting a nice lightweight board to carry down the beach. The finish of the board. It is very simple classic styling. Nice in the white. One of the best finished off deck pads we’ve seen so far. Nice and thick, really soft under foot, offers you a large amount of grip, really well finished with the inlay stripes and the two piece deck pad. Moving into the tail kicker pad. So you have a separate tail pad for the back of your foot, slight raised bump here so you can get your arch of your foot over that which you can feel under your foot which is nice, and a kick pad at the tail. Nice, wide, comfy carry handle. Bungee straps up the top so you can put your flip flops and your drink under there. Towing eye at the front. All finished off to a high standard. Moving on to the performance of the board. 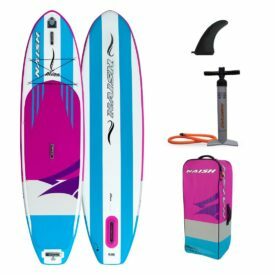 Like many other iSUPs on the market designed for all round performance and having fun on the water it has a nice general outline shape, offering you a good amount of stability for its size. 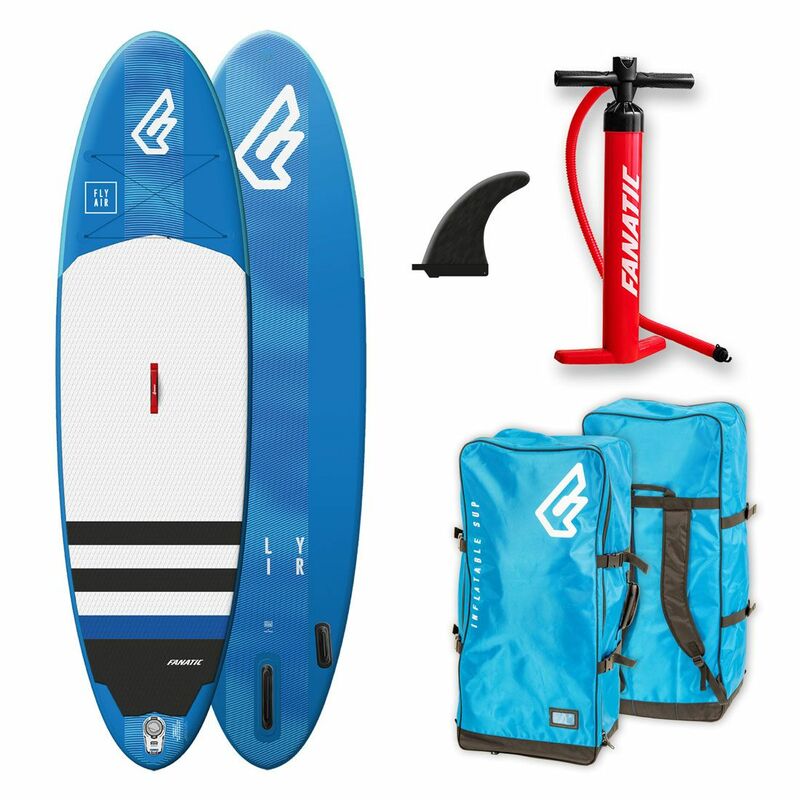 A nice wider, thicker tail here to offer you more stability when you’re doing turns and moving back on the board, and also a nice wider nose to offer you more stability in choppy conditions. It paddles really well in a straight line. 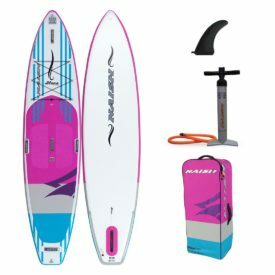 This is mainly due to the fact it has a US Box center fin, that’s nice and deep for its size, and also the fin is nice and rigid and quite sturdy giving you that straight line stability. The deflection test which we do on all our iSUPs with a gap 1.5m (59″) apart and we put a weight of 75kg (165lbs) in the center. This board was pumped up to 15PSI, which is the recommended PSI pressure and it dropped 35mm (1.37″). Moving on. Let’s have a quick look at the bag and the pump it comes with. 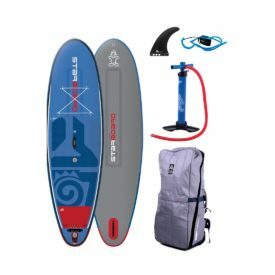 The pump is one of the newer iSUP pumps we see on the market now, some other top brands are using the same sort of thing too. 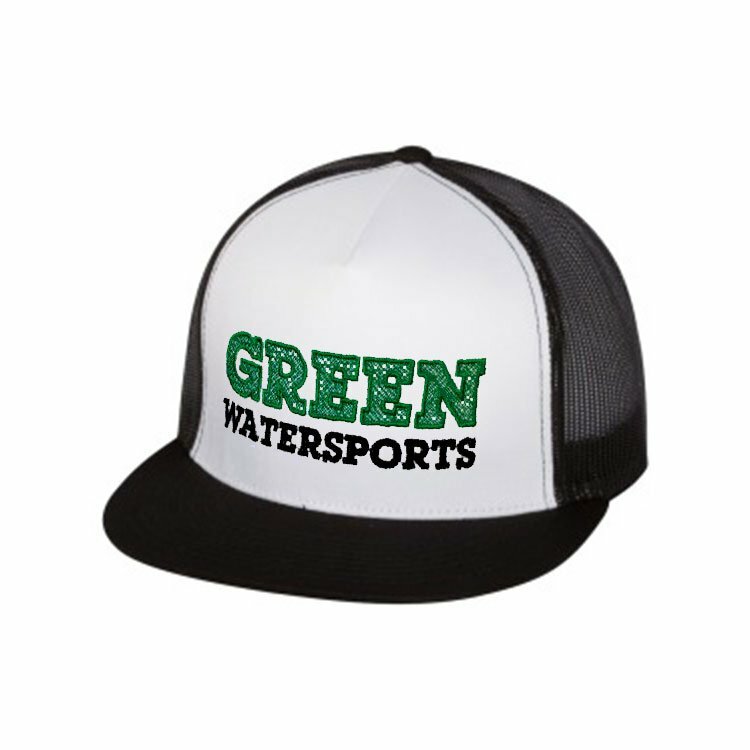 This is all nicely logo’d up with their own logo-ing, with their own branding, Water Explorer written on the back. It’s a 2 way pump so it pumps up and down when you’re pushing the pump up and down. You turn the valve over and you lock it across to just push the air in on the downward stroke when it gets hard. Built in pressure gauge, rated to 29PSI. 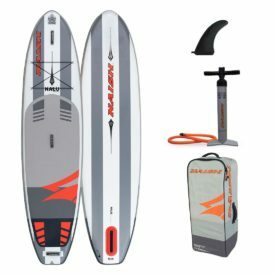 The pump, does the job, gets you on the water absolutely fine, without taking too much time. The bag is what I would say a nice lightweight, heavy duty travel bag. So it’s not got wheels or anything, it just does the job, fits the board easily opens out nice and easily. Got the back pack, buckles an clips to make the bag smaller if you’re not using that much of the volume of it. Waist strap, handles everywhere. Nice and lightweight, and goes up into a small bag and it probably only weighs about 500g (1.1lbs). So if you’re going on holiday, you’re not going to end up having a lot of weight in the bag itself. Negatives or down sides the Lokahi WE 9’5″. It’s not the stiffest of boards in our deflection test. It’s to be expected due to the amount of material that goes in this. That is the part or the down side of iSUPs. The lighter the board generally the not so stiff it is. The more material you put into an iSUP, the more layers there are, the stiffer the board will be but then the heavier the board will be. But if you’re a 65kg rider (143lbs) that won’t really be an issue for you. Value for money question. At €549 (Editor: Price update) it is a very good value price point boardroom a top end brand. 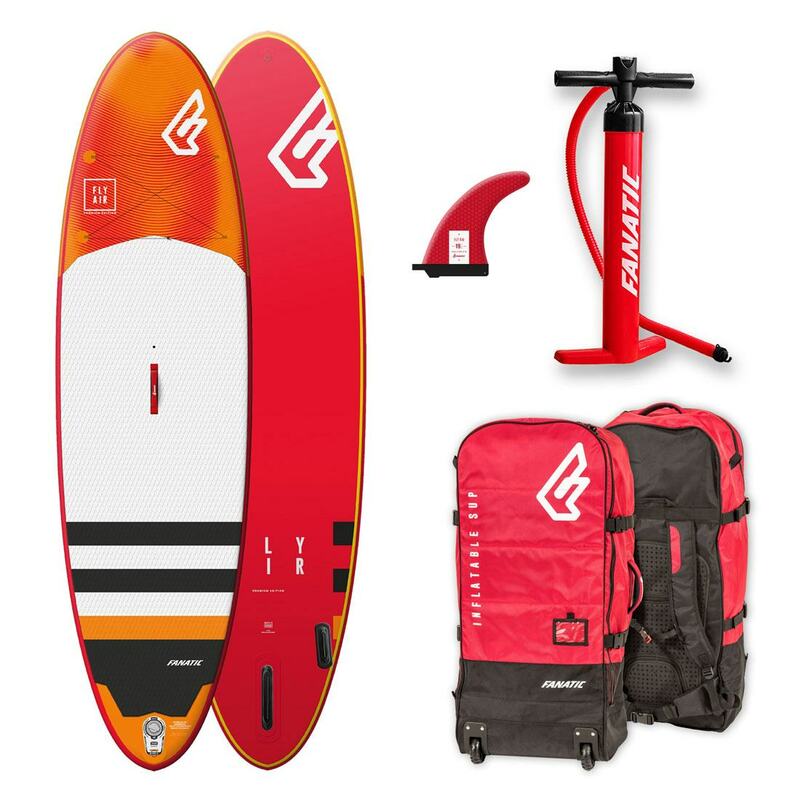 Lokahi make very high quality, performance surf and race SUPs and they’re up there with some of the world’s best and to see them put some time into an iSUP is a great thing to see at a very good price. 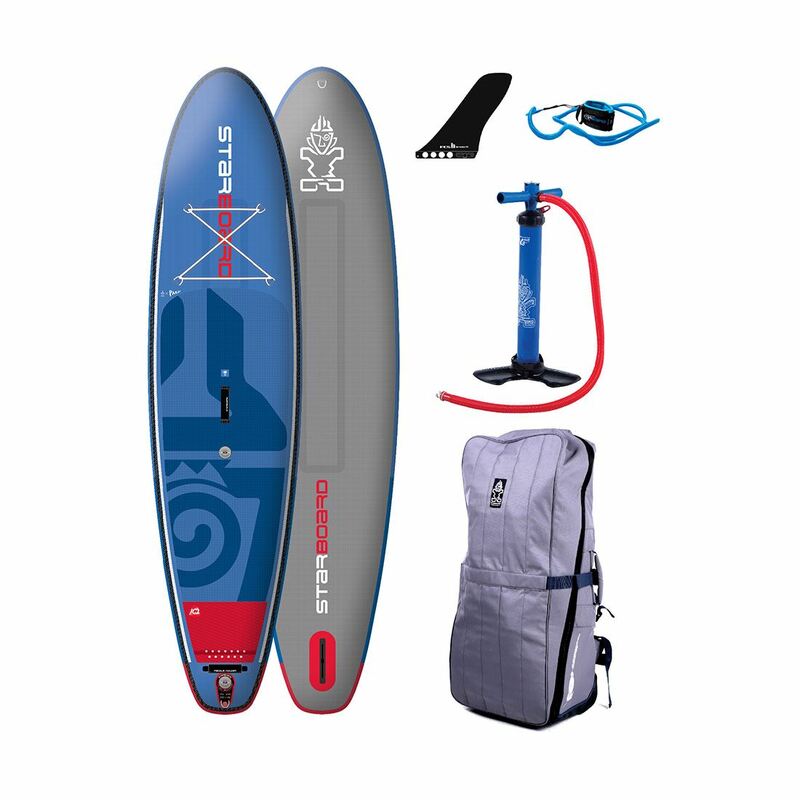 The overall SUPBoard verdict: A nice all round board that is simple and stylish, that is going to suit riders from 50-80kg (110-175lbs) wanting a top quality brand SUP at a very good price point. And there you have it. The Lokahi WE range is a top notch price point board from a brand expanding in the quality iSUPs. Posted on August 5, 2016 by Julian Kidd.